The original photo displayed at 2018 JKS Benefit Photo Exhibition. tenshi_akuma’s note: Thank you always Eve for your wonderful fan-art. 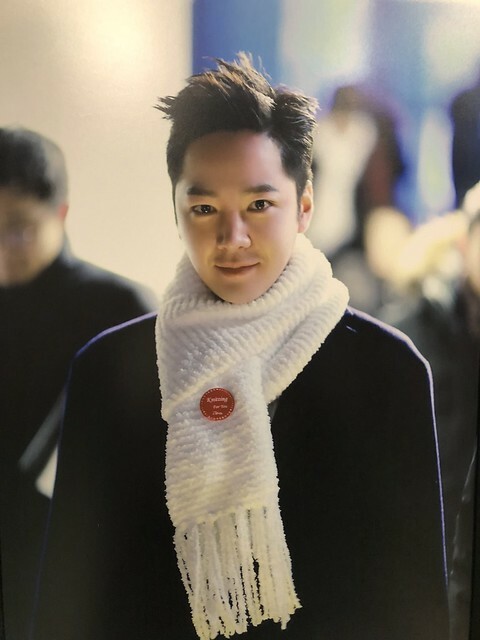 Personally this Suk in the photo was my most favorite one of the photo exhibition. Maybe because this Suk looked directly at a camera, and his facial expression shows his excitement into the future. Through the camera, he directly looked at eels. Later he revealed that he had a pain in the ribs physically at that time, which surprised us a lot. He had a pain then, but why this Suk looked so well..? 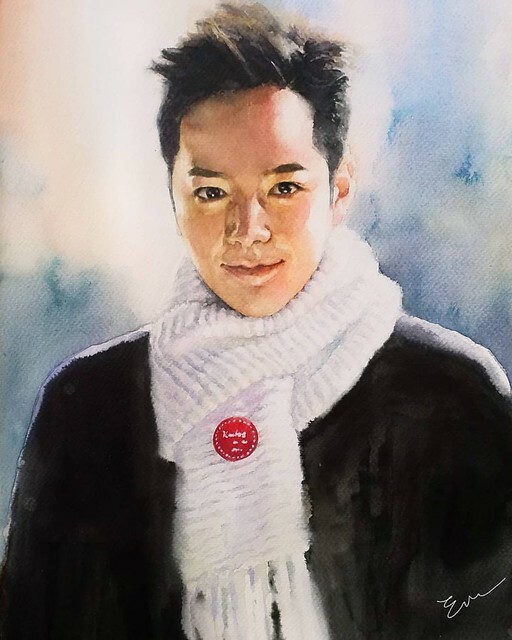 The reason why many eels including me like this Suk is perhaps even if he still has pains or sorrows inside, we can feel some encouraging signs in his eyes. I’m sure he can live with them and get along with them now. We can tell his straight look is directed to the future, and he looks so excited. I promise to keep walking with him from now on. Not only me, but his eels who have been living with him will wait for his back under the same sky. I’m sure he knows it. Eve is amazing as usual! This is one of my most loved photos of him. That natural expression is 100% genuine – not posed at all. I don’t think I’ve seen such a sweet gentle and peaceful smile on him before. And Eve captured it perfectly! Thank u tenshi for featuring my work again. Despite his internal pain either physically or mentally, he blessed us with a smile that soothes our soul and a gaze that reassures us always. It is a beautiful picture. What happened to his ribs? Be healthy and be happy Prince. Eels are always with you, for you and love you.